No more looking all shiny and glossy for no reason at all. 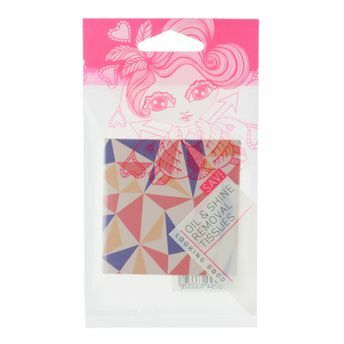 The SAVI Oil and Shine Removal Tissues are amazing oil absorbing sheets instantly soak up excess oil and remove shine from your face, without smudging makeup or leaving behind powder. These super soft, silky sheets can be used easily around your nose and other oily areas of your face for a clean and smooth skin. Explore the entire range of Face Wipes available on Nykaa. Shop more SAVI products here.You can browse through the complete world of SAVI Face Wipes .